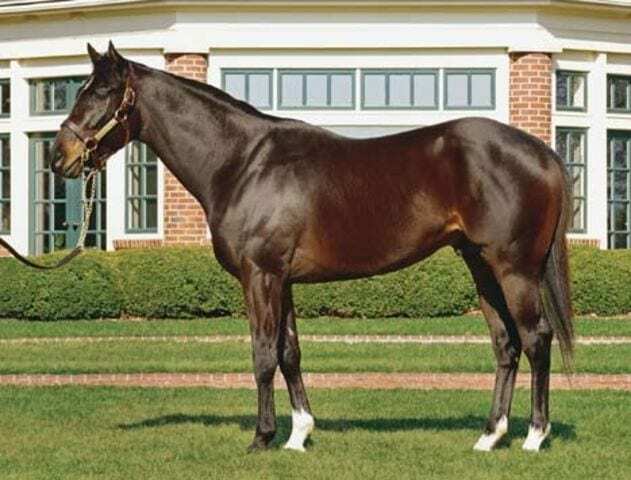 Champion and multiple Grade 1 winner WAR PASS died December 24 at William S. Farish's Lane's End Farm near Versailles, Kentucky. The five-year-old stallion had just arrived the evening before in good order from standing his second Southern Hemisphere season at Widden Stud in Australia. The morning of his death, WAR PASS showed no signs of illness or injury. He was turned out in his paddock and died several hours later. Preliminary necropsy results are inconclusive. As a two-year-old, WAR PASS was undefeated and captured both the Grade 1 Champagne Stakes and the Grade 1 Bessemer Trust Breeders' Cup Juvenile. He was named champion-two-year-old in 2007. Raced by Robert V. LaPenta and trained by Nick Zito, WAR PASS won five of seven lifetime starts and earned $1,583,400. He was sired by champion Cherokee Run and was out of the stakes-placed Mr. Prospector mare Vue. He was a half-bother to Grade 1 winner Oath. “We are very saddened to lose such a promising stallion. His first foals arrived this year and were extremely well received. He will be buried in the Lane's End cemetery,” said Will Farish. This entry was posted in Bloodstock and tagged Lane's End, war pass, william farish by Paulick Report Staff. Bookmark the permalink.